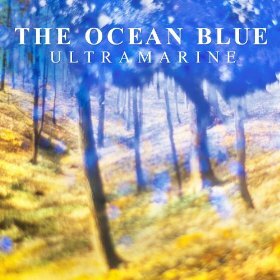 Post-punk indie vets The Ocean Blue are a fascinating study in how bands stay together and how they change and grow along the way…especially given their twelve years of relative silence between Davy Jones Locker and their latest, Ultramarine. While they developed an airy, synth-driven sound in their early days, the 90’s inspired them to pick up their guitars again. Even so, they’ve managed to retain a whimsical, poppy quality reminiscent of a cheerier Smiths or perhaps a slightly mopey XTC. Just for fun, I toggled between the band’s 1989 self-titled album and this one. It’s always interesting to see what 25 years of lineup changes, life changes, and different production techniques can do for a band. In this case, they have aged gracefully. Rather than falling into the trap of trying to play what all the hip kids these days want to hear, they are simply still recognizable as themselves. “Fast Forward Reverse” sounds the most authentic, with its moody synths and reverb-soaked snares. “Sunset-Moonrise” is a stark, breathy soundscape, which could have easily come from their late-80’s demos. “A Rose Is a Rose” is an upbeat singalong sandwiched slightly toward the end of the album, its chorus almost manic. If you’re already familiar with The Ocean Blue and you want something new that’s a little retro, you’ll definitely enjoy this. And if, like me, you’re laughing at yourself for wearing through three Joy Division t-shirts over the course of your 20’s and yet somehow you’ve never heard of The Ocean Blue (come on! I can’t be the only one! ), these guys will be right up your alley as a new addition to your indie/post-punk discography.